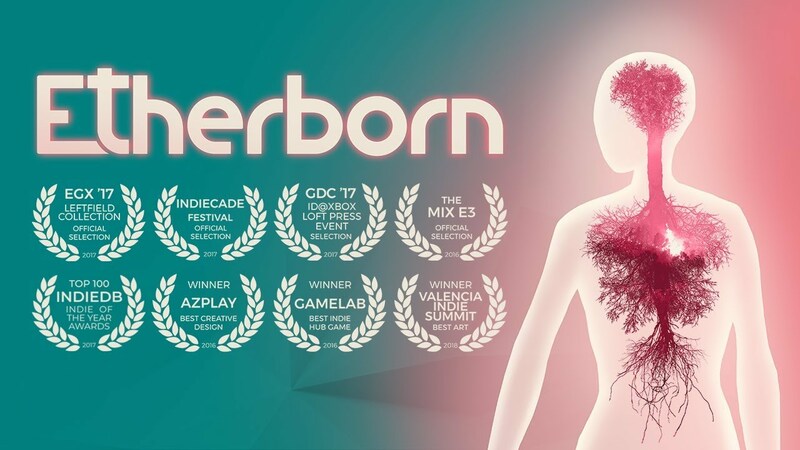 Etherborn is an environmental puzzle platformer built on exploring and understanding gravity-shifting structures. You are a voiceless being that has just been born into a world where a bodiless voice calls to you, patiently awaiting your arrival. As your first thoughts emerge, you realise your journey has just begun. You must reach this ethereal voice to fully understand your own existence. In this world, the laws of physics behave in a way that will bend your imagination. You experience gravity perpendicular to the surface you are standing on, allowing for creative exploration possibilities in environments carefully crafted as navigation-based puzzles. Observe and explore your surroundings, in order to fully understand how each structure is cunningly designed. Figure out how your unique experience of gravity will allow you to shift your ground and orientation on the level to actually get across. Find and collect mysterious light orbs scattered around the levels. Use these luminous keys to activate switches that alter your surroundings even further, allowing you to push onwards to your final destination.